As discussed in the article below by Tricia Woodhead (Associate Clinical Director for Patient Safety at the West of England Academic Health Science Network and a Health Foundation Quality Improvement Fellow), Quality of care is the aim of every individual working in healthcare. However, the systems and processes of medicine and hospital care are by their nature very complex with many people and processes involved. 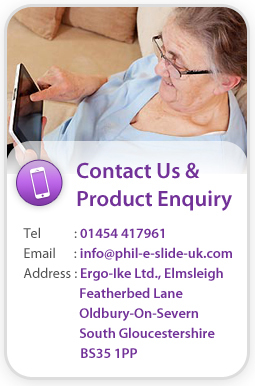 That’s why at Phil-e-Slide our inbed care management products have been driven from our founder’s care experience and the belief that there must be a ‘better way’. 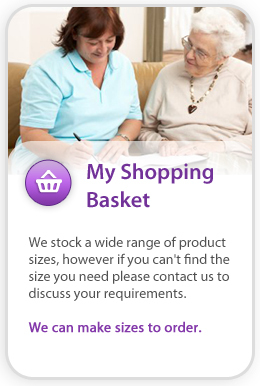 The result is products that work intuitively and give a high quality of care as standard. Clinical practitioners are no strangers to change. A major challenge facing any clinician in the 21st century is staying abreast of their field of work. With the so called ‘half-life’ of clinical science being around six years and getting shorter, this challenge is accelerating not slowing down. When you add this to the complexity of the systems in which clinical teams work and their constant flux, that challenge increases. How do we ensure that delivering quality does not exceed the sustainability of resource and that increased efficiency does not lead to less safe, less effective care? The NHS is a complex system – balancing money, demand and expectation of higher quality is a ‘wicked problem’. With traditional management arrangements and the emphasis on governance and performance, it’s sometimes the case that the target or efficiency measure fails to reflect all the intertwined components of quality: safety, timeliness, effectiveness, efficiency, equity and patient experience. We need to enable frontline staff to take ownership of complex wicked problems, to work together (often with patients) to rethink and redesign what they do and then to steadily retrain their systems of work to deliver improved care in all or most of the quality measures. This is where the traditional ‘management’ that I learnt for my MBA has been overtaken by more adaptive and ‘continuous learning based’ approaches more suited to a problem with multiple perspectives and definitions. Improvement science is not just a useful trendy adjunct, it’s a key ingredient going forward if we are to resolve the tensions between cost, quality, and patient and staff experiences – tensions that unravel the harder we look at our current ways of working. Where there has been a will, some organisations have embraced this approach to harness the creativity of large numbers of their staff to improve the reliability of processes, develop innovative service models, reduce harm and, if not, reduce costs. Most importantly they have reduced avoidable harm. It is true that a few ingredients will be difficult or impossible for some organisations to fit retrospectively; stable finances and longevity in the leadership team for example. However, others require just modest investment or realignment to gain a foothold on the improvement journey. I worked with the Health Foundation to develop the five case studies in Building the foundations for improvement, which looks at how five UK trusts built quality improvement capability at scale within their organisations. So what were the key factors behind their success? What can we take from their experiences which will help other organisations wishing to do the same? Reflecting on the case study sites, and my own experience as an improvement coach, I’d make the following points. Firstly, it’s very difficult to embark on any kind of meaningful improvement programme if you don’t have secure finances and a stable, longstanding leadership team. It is possible, however, to gain a foothold on the improvement path with just a modest investment or realignment. Next, the senior leadership team – especially the non-executives – must actively and visibly see the value in front line improvement capability building and reinforce this message in all aspects of decision making. This may take time to develop but requires specific attention. Though a funding strategy is necessary, reviewing existing resources directed to audit, change or risk management and refreshing and realigning them can give valuable support to the clinical teams working to improve as well as deliver care every day. Freeing up busy staff needs creativity; self-study can be beneficial if supported with in-work seminars and shop floor coaching. Once the ball is rolling, adapting and adopting the front line’s own ideas on how best they can be supported reinforces the message that capability building is about ‘doing’, not just about ‘learning how’. Measurement is absolutely critical to knowing that you are improving (or not). Measurement for learning needs a different management mindset from measurement for accountability. Using short cycle measurement, rapid feedback and enabling governance systems to incorporate this approach is a fundamental to learning and developing sustained quality improvement. No clinician enjoys working where there are barriers to best care and pervasive constraints to doing ’the right thing at the right time in the right place’. Providing a fertile environment in which small and locally important projects can flourish can enable staff to grasp the problems they face every day and fix them. The sense of achievement and pride drives engagement and a positive culture that some have seen impact on recruitment. In the next five years, increasing emphasis on highly reliable delivery of known best practices will be as important to patient experience and outcome as many new scientific discoveries. Building the capability and capacity in clinical teams to redesign and transform what they do each day has never been more important.